Born and raised in Albany, Georgia, Jack Jenkins has degrees from Mercer University, University of Munich and Mercer University School of Law. He practices in the areas of Workers' Compensation Law, Personal Injury, Nursing Home litigation and Criminal Defense. 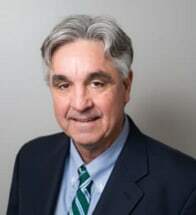 He is a member of the Georgia Trial Lawyers Association and is admitted to practice in Georgia's trial courts, the Georgia Court of Appeals and the Supreme Court of Georgia as well as in the United States District Court for the Middle District of Georgia. He is married and the father of two children. In addition, he is a long time advocate for the revitalization of downtown Macon.